Nikon D850 review: Best ever DSLR? I have owned the Nikon D800 for a few years now - it's the camera I use for 'serious' photography (OK let's call it professional). Needless to say, I am completely familiar with the camera by now. This full-frame DSLR was updated in the shape of the D810 and now, five years on, we have the Nikon D850. The Nikon D850 could well be the only DSLR that professionals ever need. Compared to its predecessors, the D850 is quicker in virtually every way, it handles better and it offers higher-resolution images, at 45.4-million-pixels. Nikon or otherwise, there is no other DSLR quite so comprehensive. High-speed and high-resolution makes it a true all-rounder. The Nikon D850 could well be the only DSLR that professionals ever need. Whether the DSLR is the crème de la crème of the camera world anymore is another subject. For me, 36.3-million-pixels from the D800 was already plenty enough. But 45.4-million-pixels opens up the DX crop mode (APS-C) as inherently more useful. You'll get 19.4-million-pixel images at a 1.5x magnification. Nikon's latest metering system is used. I have found exposures consistently spot on. Perhaps more surprisingly (and satisfying-ly), colour rendition looks better. You can read more about this in a feature I have written on using the D850 for portraits. The grip is more defined and gives a firmer hold. Key buttons illuminate - no more fumbling around the camera controls at night with torch in the mouth. The through-the-eye viewfinder is Nikon's largest yet, while the 3.2in tilt-touchscreen is vibrant. Let's pause there. The large design of a DSLR is centred around a through-the-eye (optical) viewfinder. Comparable mirrorless cameras are smaller by using an electronic viewfinder. So the big question is how much is an optical viewfinder worth it for the extra size/ weight? In this case, with 100% coverage and 0.75x magnifiation, it is. It really is. Back to the summary. Focusing is quicker and seemingly more accurate. There's 4k video with no sensor crop. There's a new silent electronic shutter (obviously in live view mode). Battery life is insane - at 1,840 shots no other camera comes close. I could go on. What I'd say is that the D850 ticks all the wishlist boxes, bar one. In my opinion, autofocus in live view mode for video could be improved. It's a little better than previous Nikon's, but no match for the competition. With the optional battery grip and MB-D18 battery inserted, the performance gets even more impressive. 7fps max high-speed shooting is boosted to 9fps. That's a lot quicker than the D800! Battery life is propelled to 5,140 shots. So what do I make of the camera? Well, the Nikon D850 is surely an early runner for camera of the year and if I had a minimum £4,500 spare I'd go for it. I know the camera would serve me well down the years for landscapes, action and everything in-between. Read my full review on Pocket-Lint. When I heard about the Sigma 14mm f/1.8 Art lens, my first thought was that this could be THE lens for nighttime photography. It's part of Sigma's ART series, which has quite rightly built up a solid reputation. I have the 35mm f/1.4 Art and it's my go-to-lens. There is no getting away from that unmatched f/1.8 fast aperture of this new lens. 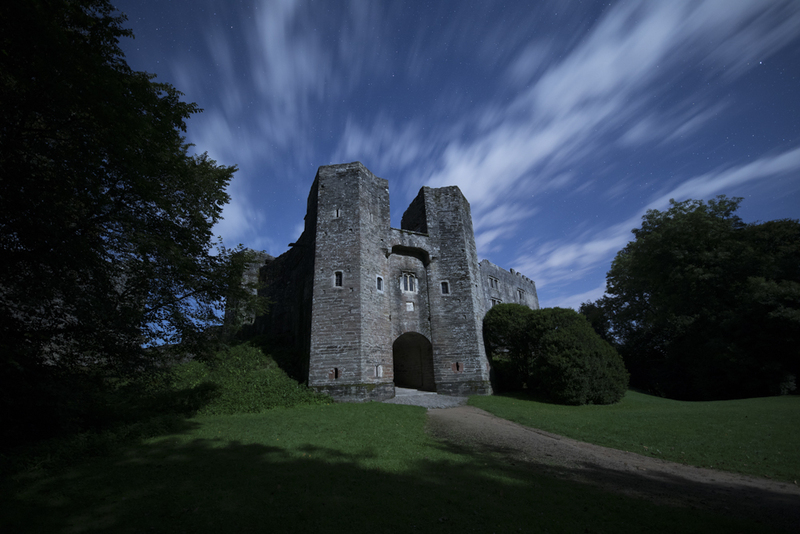 Maximising light intake is paramount to high-quality, vibrant night images. No other lens at such a wide-angle accepts so much light as the Sigma 14mm Art. In the hand, this is one mighty lens - it positively dwarfs a mid-size full-frame camera. It's virtually twice the size of the Laowa 12mm f/2.8 lens that I reviewed recently. More so, it is heavy - there is some serious glass inside. The 1 1/3EV extra light intake not only makes for more vibrant images but ensures you get to the sharpest apertures sooner. Use the widest aperture of any lens and it's not at its best. Lens distortions and fall-off in edge detail are present. Yet, stop down the Sigma 14mm to f/4 and these distortions have totally gone away (while other f/2.8 lenses still show distortions at this setting). That's why us photographers get excited about fast aperture lenses like this one. More light = better performance at like-for-like apertures than other lenses. It ain't cheap. It ain't small. But the Sigma f/1.8 Art lens is good, oh so good. Check out the full review at Photography Blog. I'll admit it now, I've never really seen the usefulness of monopods. Granted, I am not a touchline sports photographer or an on-the-go filmmaker, but hey. Now a tripod, yes I regularly use one, especially for landscape photography. So as I commenced my review of the Sirui P-204S monopod I had to lay aside any preconceived notions and judgements. Skip forwards to me finishing my review and I wonder if all monopods are this good. I think not, having had enough discussions with other photographers that confirm to me this is a brilliant monopod. So what is so good about the Sirui P-204S monopod? I am going to list what I think are its key selling points and the one in bold is the feature that I believe to be exclusive to Sirui monopods. Locks off easily and securely. All in all, this is one heck of a monopod. By the way, it ain't just for photography - this would make a verstaile light stand, just saying. Loupedeck is a photo editing control deck designed specifically for Adobe Lightroom, compatible with version 6 and later. A control deck essentially emulates a midi controller (similar to a mixing desk), though in Loupedeck’s case it’s built-in hardware serves Lightroom exclusively. A world first we are told. The dials, buttons and wheels found on the Loupedeck are assigned and labelled specific Lightroom controls, while a few can be customised. Instead of navigating the screen with a mouse or trackpad to make the edit you want, the edit can be made by using the specific dial/ button/ wheel on the Loupedeck that controls that edit. The clear selling point of control decks are enhancing the photo editing workflow. I've also reviewed the Palette Expert kit which is the same type of device. Quicker. Less strain on the hand. For those that spend hours upon hours using Lightroom, the Loupedeck could be a godsend. Well, Loupedeck's exclusivity to Lightroom may prove to serve its success or failure. This consequent simplicity ensures the hardware works flawlessly, while the focused design makes for a speedy marriage between Loupedeck and user - you'll get to grips with it quickly. The controls feel good in the hand, though the buttons/ keys feel a tad on the cheap side for a device that costs £330. I feel a few tweaks to the handling would make a Loupedeck even more helpful. Flexibility over the dial's editing speed would be handy, plus a greater degree of customisation for the controls. All in all, the Loupedeck is a tough product to really judge. For me it's not a godsend, but does enhance the editing experience. I'm not convinced and am quite happy to continue using mouse and keyboard for now. But I am prepared to be proved wrong. Feel free to add your experience in the comments section below. Last week I shared my review of the Laowa 7.5mm f/2 lens, which is an impressive ultra-wide angle rectilinear lens for micro four thirds cameras. Alongside this lens I have also been using the Laowa 12mm f/2.8 Zero-D lens. Again it's an ultra-wide angle rectilinear lens. It's even better. Zero-D stand for zero distrotions. (Well 0.2% to be exact.) It's a massively impressive performance for such a wide angle lens - virtually no chromatic aberration or barrel distortion. Position the camera level with you subject and straight lines are straight. Architecture photographers are very well catered for with the Laowa 12mm f/2.8 Zero-D lens. What is more, detail is pin sharp, with only a minimal fall-off in corner detail at f/2.8. Again, there is no full-frame lens as wide and fast as the Laowa 12mm f/2.8 Zero-D.
Again, it's manual focus only and does not have weather sealing or image stabilisation. It’s very difficult to obtain critical focusing without using focus magnification through live view. However, with the focus distance set to infinity when using apertures of f/8 to f/22, one can be sure that virtually everything is in focus. In this regard the user can just point and shoot. None-the-less, the all-metal lens is solidly made, is well balanced on any full-frame DSLR and handles beautifully. At £899 it's right up against the Samyang 14mm f/2.4 manual focus lens. I have not compared the two or indeed against lenses like the Sigma 12-24mm f/4 ART. What I do know though, is that this lens is brilliant and has expanded my astrophotography horizons. We are seeing an increasing number of lens manufacturers making what are very good alternatives to the brand lenses. China based company Laowa is one of these relatively new players in the lens world. In some cases, the lenses made by these companies are better and/ or offer something that is not available elsewhere. The Laowa 7.5mm f/2 lens is a case in point. It's a tiny and well built manual focus lens designed for micro four thirds cameras (M43) - that is Olympus and Pansonic compact system cameras (CSCs). There is no rectilinear M43 lens available that is as wide and fast. Those that come close are expensive wide-angle zoom lenses that are twice the price, size and weight. 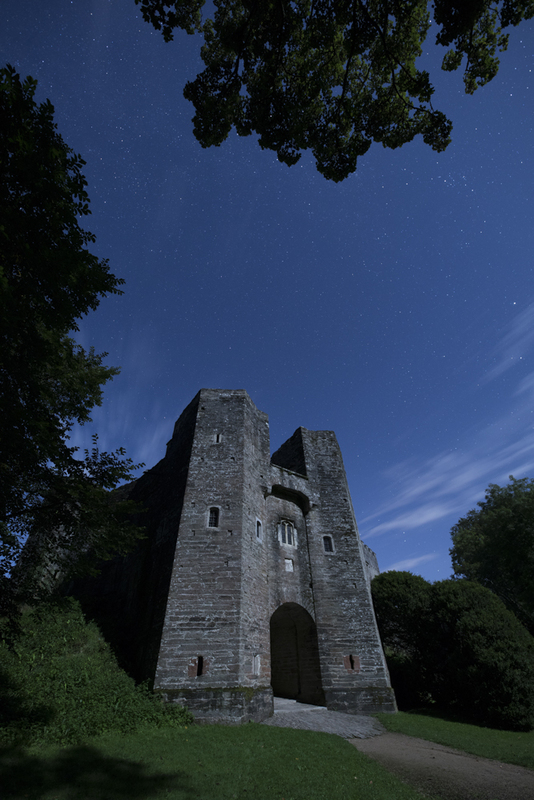 As such, the Laowa 7.5mm f/2 is clearly aimed at astrophotographers, as well as for architecture and landscapes. The lens delivers where it counts most, in its excellent image quality. Pictures are sharp and there is impressive control over distortions that are so common in ultra-wide angle lenses, especially chromatic aberrations. The fast f2 aperture is advantageous for astrophotography - M43 cameras typically suffer in low contrast light so any further light intake improves image quality. Another bonus especially for landscape photographers and filmmakers is that the lens accepts threaded filters, which is unusual for such a wide angle lens. Before you say Shut up and take my money, there are the downsides, mainly the handling. I found its controls a little too tiny - the lens cap/ lens hood and aperture ring are all fiddly to manoeuvre. It's manual focus only and it's very hard to see what is in focus because of the wide angle. As such, live view focus magnification becomes essential for accurate focusing. The lens is not weather sealed either. All being said, the Laowa 7.5mm f/2 lens serves a niche audience very well indeed. Nothing is as wide or fast. Its images are sharp and its price at just under £500 is reasonable. To read more about the lens, please visit Photography Blog for my full review. Images below are all taken with the Laowa 7.5mm f/2 lens, attached to an Olympus OM-D E-M1. I've reviewed a lot of Sony Alpha cameras down the years. The Sony a6500 happens to be one that I really like. I mean really, really like. Here's why. Sony Alpha cameras are launched with massively impressive specs and a lot of marketing hype. Consequently - rightly or wrongly - they are immediately put on a pedastal for reviewers like me tear them down. More often than not, they don't quite live up to the hype. For example, the processor might not quite match the high-speed performance. So while the Sony Alpha cameras often still outperform the competition, the end feeling does not reflect that. The Sony a6500 is an exception. Believe the hype, believe the numbers. The camera's performance backs it all up. Of course, no camera is perfect. Poor battery life is a big problem and there is no charger included! Come on Sony. You can find my full review here and I've included one or two shots taken with the camera below, enjoy! I had the chance to review the Nikon D7500 for Pocket Lint recently. In the face of stiff competition from mirrorless cameras (CSCs), the D7500 is a great DSLR ambassador. Somewhere in a camera bag I have a Nikon D300 - it's 10 years old this month. Like the D7500, it's an enthusiast-level APS-C DSLR camera, but the two are quite different. DSLRs have evolved somewhat and the Nikon D7500 is a case in point - it's a wonderful concoction of old and new. Compact and solid body (though bigger than comparable CSCs). Built-in Wi-Fi and bluetooth connectivity. A simply outstanding 3.2in tilt-touchscreen. Large optical viewfinder. 4k video recording. Sharp images. Expanded ISO 50 to ISO 1,640,000 (that's not a typo). None of these new features are gimmicks, they all genuinely improve the user experience and the images produced (plus it's easier and quicker to share the images too). I can think of no better compliment and summary of my time with the camera other than to say I used it with a smile on my face. I've included a couple of my favourite pictures made with the camera below. Check out the full review at Pocket Lint. Sunrise at Arundel Castle, River Arun, West Sussex. Unedited raw file from the D7500, with the Sigma 35mm f/1.4 ART lens for full-frame. 42.4-million-pixel BSI (back illuminated) full-frame CMOS sensor. 12-frames per second with continuous tracking AF. And that is just the start of the Sony Alpha 99 II - the company’s flagship Single Lens Translucent (SLT) interchangeable lens camera. Sony has gone some way to demonstrate that its SLT line-up is not dead in the water. On paper, the Sony Alpha 99 II looks like it could cater for both those professionals that want to print big and those that want to never miss a shot. After using the camera, my take is that it comes close to catering for all those professional level users. When it comes to landscape and portrait photography, the Sony Alpha 99 II shines. You get massive file sizes and excellent colour rendition, complimented with excellent lenses. Featuring image stabilisation and a fixed translucent mirror, landscape photographers using the Alpha 99 II can enjoy sharp images with less care, than with similar DSLRs that lack either feature. As for action photography, the Sony Alpha 99 II offers much but is not quite backed up by the performance. That's the harsh word, but the camera is put on a pedestal and cannot quite match the best in class. The Alpha 99 II represents a marked improvement from its predecessor and a brilliant all rounder. Testing the Canon EOS M6 was my first experience of Canon's EOS M range of compact system cameras (CSC). Coming 5 years after the first CSCs, the EOS M system has been slammed a bit. But the two-year-old predecessor the EOS M3 showed signs of improvement. Aimed at enthusiast photographers, the EOS M6 is a diminutive camera packed with the sort of features one would expect from a Canon DSLR. It's really similar to the EOS M5, save for the exclusion of a built-in electronic viewfinder (EVF). The result is that the EOS M6 is significantly cheaper than the EOS M5 and some way smaller, with an optional EVF available. Canon JPEG colours are consistently auucrate right off the bat - no editing whatsoever in this picture. It took me a while to warm to the Canon EOS M6, but the more I used it the more liked it. The camera sits in the hand nicely, has an intuitive, customisable layout. Aperture, shutter speed, ISO and focusing are quick to hand. The touchscreen is great too - being able to touch the part of the frame that you want to focus on increases the hit rate of sharp shots. For much of the test I wanted to see if the EOS M6 could be a viable alternative to a camera like the Fuji X-100F, because I had the 22mm f/2 pancake lens which essentially creates the same setup. In summary, it's not quite as responsive as the Fuji. Once again though, Canon has delivered when it comes to image quality. JPEGs straight out of the camera are crisp and vibrant, with faithful colour rendition. The main downside to the EOS-M system is its current lens line-up. Serious photographers will want to see more serious dedicated EOS-M glass available to buy into the system, irregardless of the Canon EF-S to EF-M lens adaptor. Overall, the EOS M6 tick a lot of boxes and sees Canon continue to move in the right direction with its EOS-M range of compact system cameras. Read my full review on the Photography Blog website. I recently reviewed Picktorial 3 for Photography Blog. Picktorial 3 contains ‘pro-level' non-destructive raw photo editing tools, all within a simple single-space interface and is available for Mac only. If you don't want to be tied into an Adobe Cloud subscription for software like Adobe Lightroom CC, or fork out loads for a standalone photo editor, Picktorial 3 is a viable option. The introductory price of $39.99 is an absolute snip. With a simple layout and tools that are easy to navigate, Picktorial 3 actually offers some sophisticated editing functions. Undoubtedly for me, where Picktorial 3 shines is how quick it operates, from start to finish. Importing images, viewing images, applying edits and exporting. It is fast and it is easy. Operational speed normally lets down low cost editing software, but not so Picktorial 3. It is staggeringly fast. It is faster than Adobe Lightroom CC for many functions. Kudos to the Israeli based team at Picktorial Innovations Ltd. The software is not perfect. As things stand I'm not a total fan of how the algorithms render major exposure adjustments and the limitations in recovering tonal detail. I say this from experience editing Nikon, Olympus and Sony raw files, but adjustment sliders at times behave in a way I would expect from JPEG editing. Those with Fuji raw files may have a different experience, because it seems there is additional support for Fuji cameras. One other point is that Picktorial 3 is more limited when it comes to batch processes, making it more suited to editing individual images. You can batch apply edits, but I could not find a way to batch rename exports. All in all though, you'd struggle to find a better photo editor even close to this price point. The team are helpful too - my experience is that they look after the Picktorial 3 users. I've been back in the camera reviewing game a bit recently. And what a reintroduction - especially with the Olympus OM-D E-M1 Mark II. It really is quite a camera. Packed with features, lightning quick and the lens collection keeps growing, this is for sure a viable alternative to a DSLR camera. The inherent limitation of this format is the relatively small sensor size, which limits image quality in low and high contrast light. However, Olympus is for sure creating innovation after innovation to counter this limitation. The best image stabilisation (IS) bar none means that for still subjects, the camera can be used at slower shutter speeds which increases light intake and therefore improves image quality. I did a test of the IS and found that with a 20mm wide angle lens I could take a sharp image handheld with a shutter speed of 2 seconds, which is astonishing. This sensor and lens based IS works really well for video too - I could get smooth footage when moving with the camera handheld in a way I could only do so with a gimbal of some kind. And there are more features on offer that totally outshine the DSLR system, thanks no doubt to the small(er) sensor size. One example is the 60fps raw & JPEG Pro Capture High shooting mode. 60fps!! Or, you can shoot at 18fps with full-time AF. Wow. At £1849.99 RRP body only, the OM-D E-M1 Mark II is not cheap. It's roughly the same price as the top-of-the-line APS-C DSLRs such as Nikon’s D500 and some full-frame DSLRs. In simple terms you could claim M4T versus DSLR has been a size & features versus image quality decision, but the argument is not that simple any more. You can read more about the camera in my full review on the Pocket Lint website plus I have included some images taken with the camera below. If photography is your thing yet you are committed to the DSLR system, I'd recommend trying this system out, you might be surprised at how capable it is. I studied Photography at university and since graduating have had the opportunity to work in the photo industry, now for more than 10 years. From being on staff at Amateur Photographer magazine to wedding photography, I have had a broad experience. Yet, my vision has always been to use the power of photography as a means to make a positive change in the lives of others. So, in 2015 I joined SIM as its image maker in East Africa. Through my time with SIM I have been realising the purpose in the images I make and the responsibility that comes with using a camera and sharing pictures. I had wanted to put 'pen to paper' to express this journey and WEX Photographic gave me the opportunity to do so back in December through its photographer series called 'More than an Image'. The article I wrote for WEX is just about the most personal feature I have ever shared.